Next on The Scoop: Cat Love Bites — What Do They Mean and Why Do They Happen? 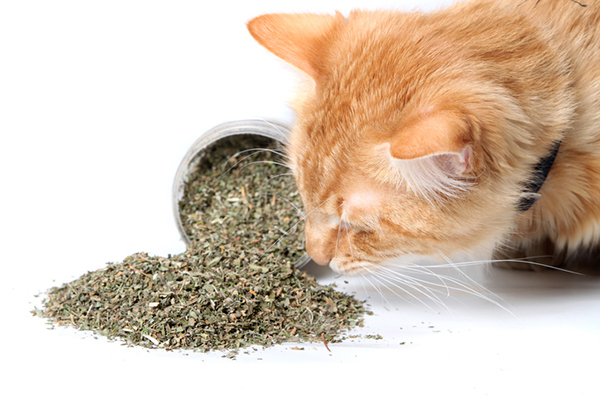 Ever thought, “My cat’s breath stinks!”? Is bad cat breath something to bring to a vet’s attention or could it be from something your kitty is eating? Cats are known to be exceptionally clean animals. Their constant grooming serves an instinctive purpose — to remove any offensive odors that would make them detectable to predators and to prey. As the owner of two cats who compete for the right to sleep on my pillow at night, I routinely spend my evenings with my face in very close proximity to their fur. I can hear them sometimes (they both snore! ), but I never smell them. Their proficiency at emitting zero smell is one of the nice perks of cat ownership. Some of my clients haven’t been as fortunate. Occasionally, I will examine a cat whose owner with a complaint like, “Help! 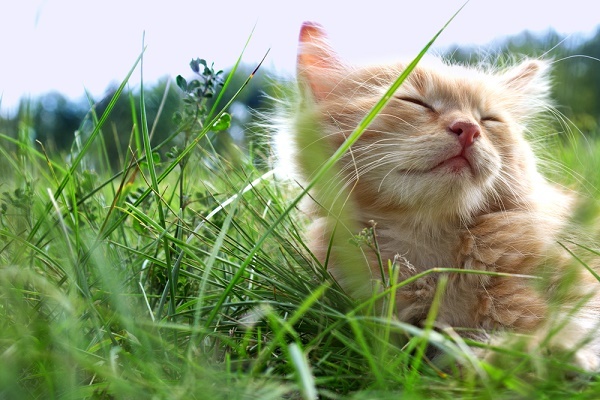 My cat’s breath stinks!” There are several possible reasons why a cat’s breath stinks. In my experience, the most common cause is halitosis, also known as bad breath. Dental problems (like periodontal disease and halitosis) could be the reason behind your cat’s bad breath. Photography ©DjelicS | Getty Images. Periodontal disease is most often the reason why a cat’s breath stinks. This is an inflammation of the tissues that surround the teeth. It starts with the buildup of dental plaque. The immune system responds to the plaque, resulting in inflammation of the gums. This is gingivitis, the first stage of periodontal disease. Bad breath often accompanies the gingivitis. As inflammation progresses, periodontitis — the second phase of periodontal disease — develops. Periodontitis is a condition where both the soft tissues and the bony tissues are affected. Cats may develop receding gums, bone loss and continuing halitosis. If not removed from the tooth during this early phase, plaque eventually mineralizes into tartar (also called calculus). Calculus requires professional removal by your veterinarian. Although periodontal disease and gingivitis tend to develop as cats get older, gingivitis can occur in cats as young as 6 months. These cats often have little or no calculus accumulation. We call this condition “juvenile-onset gingivitis,” and it is a common cause of halitosis in kittens. 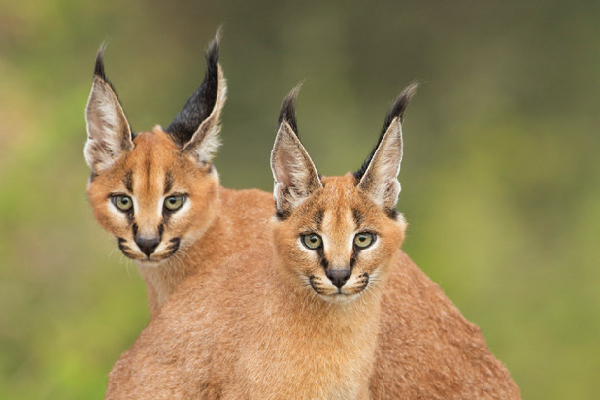 The exact cause of this condition is unknown, but genetics is suspected to play a role, since purebred cats (especially Abyssinians, Siamese and Persians) are predisposed. If left untreated, these cats may develop significant periodontal disease early in their adulthood. Daily home oral care is recommended in cats with juvenile-onset gingivitis to avoid future dental problems. Other dental issues can cause foul breath, such as infections or abscesses. Tooth-root abscesses are common in cats, usually resulting in facial swelling near the site of the affected tooth. Tooth-root abscesses need to be lanced and drained by your veterinarian, and the affected tooth is likely to require extraction. Non-dental oral problems, like ulcers in the mouth, can also result in halitosis. The calici virus is a common cause of feline upper respiratory infections. Although sneezing, runny eyes and a snotty nose may be seen in affected cats, an ulcer on the tongue is the classic finding in cats infected with calici virus. Sadly, tumors of the oral cavity are common, and halitosis is a frequent accompanying symptom. The most common feline oral tumors are squamous cell carcinoma and fibrosarcoma. As these tumors grow, a portion of the tumor may become infected or necrotic (nonviable), leading to an unpleasant smell from the mouth. Early detection and aggressive treatment are essential for therapy to be successful. 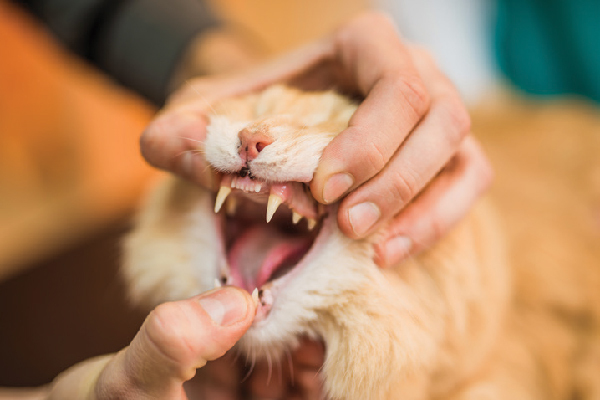 Unfortunately, by the time most cats are showing clinical signs of their oral tumor, the condition has already progressed to a point where treatment isn’t possible. Sometimes that stinky cat breath is all a matter of perspective. Photography © avemario | Getty Images. And finally, it should be said that halitosis is sometimes in the nose of the beholder. I have examined many cats brought into my office with the complaint of bad breath and, upon examination, the cats were discovered simply to have, for lack of a better term, “fish breath.” Their mouths were normal — no dental disease, no oral pathology of any kind — and they had no systemic illness. 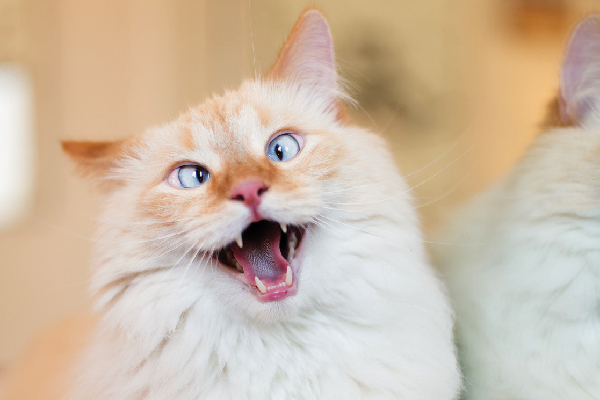 It’s pretty simple: If you feed your cat stinky food, he may end up with stinky breath. However, because there are so many significant medical conditions that can lead to halitosis in cats, err on the side of caution and have any offensive oral odors evaluated by a veterinarian. As kidney dysfunction progresses, cats may develop uremia, literally “urine in the blood.” Uremia generally refers to cats with severely elevated toxins in their blood- stream. Uremia results in a characteristically foul odor from the mouth that differs from the bad smell caused by dental disease. This is more of a “rotting” smell. Cats with severe uremia will sometimes develop ulcers in their mouths, often on the sides of the tongue. These ulcers contribute further to the halitosis. Dr. Arnold Plotnick is the founder of Manhattan Cat Specialist, a feline-exclusive veterinary practice on Manhattan’s upper west side. Dr. Plotnick is a frequent contributor to feline publications and websites, including his own blog, Cat Man Do. He lives in New York City with his cats, Mittens and Glitter. Editor’s note: This article originally appeared in Catster magazine. Have you seen the new Catster print magazine in stores? Or in the waiting area of your vet’s office? Click here to subscribe to Catster and get the bimonthly magazine delivered to your home. 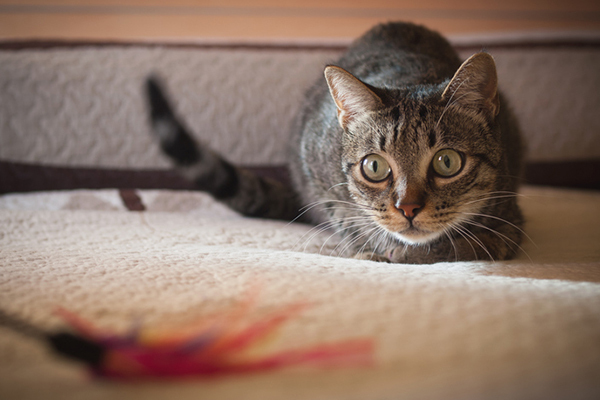 Cat Trilling: Why Do Cats Trill and What Does Cat Trilling Mean? This is related to the breath of animals smelling bad. Humans tend to blame their animal companions, when, of course, it is people who are choosing the only source of food available to the animals with whom they live. I have been involved with two charities for cats in a college town in northern California. I have helped research different commercial foods, because many adopters here eat organically, and are very conscious of what their animal companions are eating. Californians, in general, are beginning to consider nutrition and quality in regards to what their cats and dogs are eating. When I see acquaintances at the popular big box store, in our town, buying a cheap, poorly-made food, often because the name has been around for a long time, I ask them if I may speak with them about it. They often are open to considering hearing comparisons, and, thank goodness, the parent company of that store makes a maintenance cat food which smells fresh, is very nutritious, and is priced amazingly low, for the quality. We feed it to the colonies of cats who have been dumped , and left to starve, when their human grew tired of the “toy”; they love it. Looking for a “step in” harness for my cat, so may take him for walk.